Add these white trainers to their footwear collection. 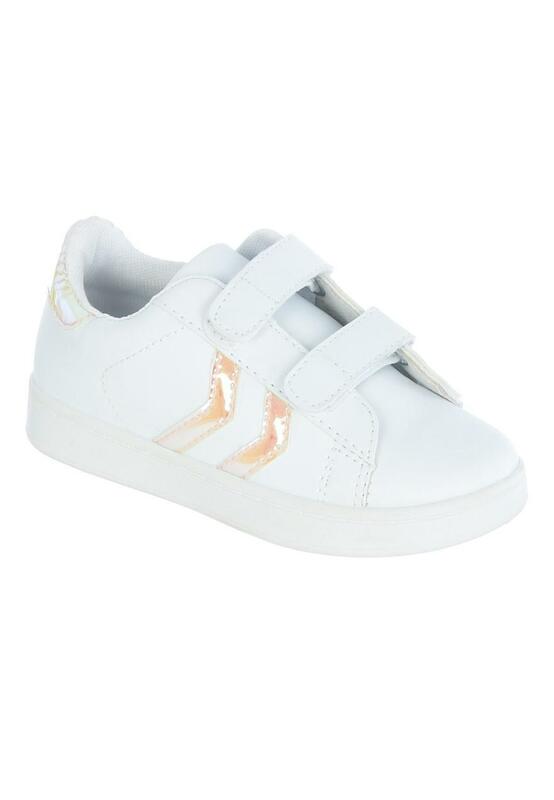 Featuring iridescent stripes and velcro fastenings, they're perfect for casual wear. Sizes 6 to 12 have two velcro straps. Sizes 13 to 5 have three velcro straps.